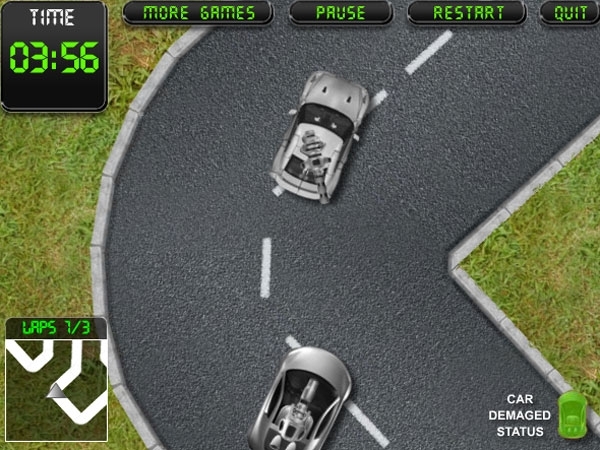 Free online racing game with shooting elements by homepage Take part in this fascinating race, shoot at the rivals, avoid their bullets and bombs and be the first at the finish. Collect bonuses: acceleration, money and car repair. Do not forget about the timer. Get money for each successful level that can be spent on car upgrade or on new weapon. There are ten skill levels for continuous and addictive play. Use arrows to drive and space to shoot. Absolutely free!